In this, the final week of January, conference play is in full swing around the nation, and the stakes only rise in the top college basketball games from here on out. Bubbles are starting to form around the college basketball landscape. Wednesday’s action features a few possible Big Dance participants with opportunities to head into February right. However, the best game of the night features two teams more concerned with conference championships and potential top seeds than simply making the NCAA Tournament. The pressure of winning Mike Krzyzewski’s 1,000th is no longer hovering over fourth-ranked Duke, but the Blue Devils take on a new kind of pressure: winning a very top-heavy ACC. Back-to-back road games against Notre Dame and Virginia should provide some insight into just how realistic Duke’s ACC title hopes are. The Fighting Irish in particular promise to attack Duke exactly where it was beaten twice earlier this season by NC State and Miami, with efficient offense. Both the Wolfpack and Hurricanes shot over 50 percent against the Blue Devils. 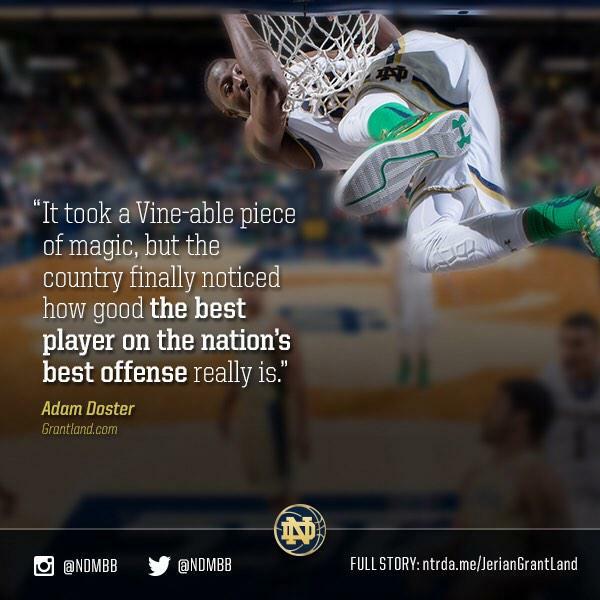 Notre Dame’s team field goal percentage? Fifty-two. Notre Dame also has four scorers averaging between 13.4 and 17.1 points per game to pace the nation’s most explosive offense per KenPom.com adjusted efficiency metrics. Albany and Vermont have combined for four of the America East’s last five berths into the NCAA Tournament and — surprise, surprise — they come into Wednesday’s tilt one and two atop the conference standings. Vermont is one game back of 7-0 Albany, but the 6-1 Catamounts play host. The cozy Patrick Gymnasium should be electric with the Great Danes riding in on a seven-game win streak and Albany paving its way to the Big Dance each of the last two years at Vermont’s expense. Albany is without its leading scorer, Peter Hooley. The Australian native went home to be with his ailing mother. If Matt Painter’s Boilermakers are going to sneak into the Field of 68, they’ll need to get hot in the final month and change. Purdue beat one ranked Big Ten foe, Iowa, its last time out. A second upset of a Top 25 opponent certainly doesn’t guarantee the eight-loss Boilers anything, but it can’t hurt their resume, either. It’s an especially big game for Purdue given Indiana is surging on its way in. Tom Crean has found an undersized lineup combination with no starter over 6-foot-7 that maximizes Indiana’s strenghts: pushing tempo and scoring points. Purdue doesn’t matchup particularly well against this style, and could have difficulty containing the Hoosiers’ dynamic duo of Yogi Ferrell and James Blackmon. Arizona routed Oregon when these two met at Matt Knight Court just three weeks ago. With the Wildcats sporting a 32-game win streak at McKale Center, a repeat of the last encounter seems likely. However, the Ducks have scored a win over Arizona in each of the last three seasons, including at McKale in 2012. Last season, Oregon gave Arizona all it could handle there in a 67-65 Wildcats’ win. Oregon outrebounded Arizona that night, which is the common denominator of each of the Wildcats’ losses this season. Likewise, it’s no coincidence Arizona dominated the glass, 40-27, when these teams met Jan. 8. Arizona also held Oregon to 4-of-20 shooting from behind the arc. The Ducks are a true live-by-the-3, die-by-the-3 squad and must get Joseph Young going. Life after Robert Upshaw begins at a critical juncture for Washington. The nation’s leading shot-blocker was dismissed earlier this week, leaving a considerable void in the key when the Huskies are on defense. Defending Stanford big man Stefan Nastic will be tricky, but trickier is keeping Pac-12 leading scorer Chasson Randle out of the paint without Upshaw patrolling it. After losing to Stanford earlier this month in overtime, Washington needs this one to keep its resume from breaking down.